Nowadays, online ads are much chosen by bloggers to earn some colossal amounts of money. Online ads have many stable perceptions basically you can say good public perceptions like auto playing video ads, sound playing ads, image ads etc. These ads mainly include Pay per Click system. Google AdSense is the largest ad network presently as it is really easy to implement on your blog and give you best online earns as compared to other ad networks like chithika, infolinks etc. But these online ad networks have danger for account disabling due to fake clicks. So be aware of Fake Clicks. If you want to show the ads which you really want to show on your blog then Banner Advertising suits you the most. You can choose any permanent banner ad for your blog from various Banner Advertising Companies/ Managements which you thought is suitable for your blog. BuySellAds is the most leading network in Banner Advertising. I personally recommend you to choose this network if you have natural 1000+ audience and traffic to your blog. It has fixed earns and ads. You can choose the ads to be shown and also manage the pricing of the banner ads before the ads displayed on your blog. If you have good SEO work and quality content to your site (5000+ daily visitors) then may be your blog will be submitted or listed to the directories from where various advertisers can choose your blog and request you to show their ads either at fixed monthly cost or pay per click. Through affiliate marketing, you can earn real money either by selling online products or you’ll be paid for leads i.e. sign-ups. Simply you can say that if any visitor buys any product or sign-up on any ad link shown in your blog then you will be paid for that. Amazon is the leading affiliate marketing campaign online. It will pay you whenever any visitor purchases any product from your blog. But it is really difficult to earn through it. 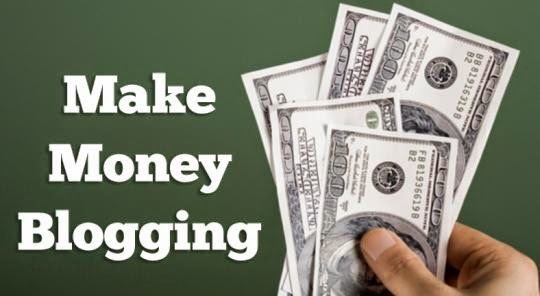 You can only draw some real cash from affiliate marketing if you have 10000+ daily visitors to your blog. So, keep working on your blog to reach the success point. Through this system you can earn some free goods, gadgets and other products in exchange of some real and natural reviews and also paid blog posts. Simply you can write some reviews and then advertisers will decide to pay you or not for them. If you understand and write reliably then there are chances to earn in between $5-$50 per blog post. If you have high Page Rank (PR) and great traffic then it suits you perfectly. Advertisers are looking for such great blog posts. I recommend the SocialSpark for sponsored blogging. So, you can choose the perfect one which suits you the best as per your niche and traffic. However, I personally recommend you that don’t use any ads/ earning systems described above if you have less than 1000 daily page views to your blog. Hope you liked the article and found it useful for you and your blog. Share if you liked it. Comments are appreciated. We respect your time and work.